I love a magazine. In an age where the move to digital is inescapable and so many magazines have ceased publication due to a lessened response to printed media, I still like to buy magazines and support the industry. Some magazines are choosing to move across to digital which may excite some people, but I actually like holding a magazine in my hands. Nothing beats that new magazine smell and actually being able to read a magazine when you're underground on the train and don't have an Internet connection. I'm currently only subscribed to only one magazine but do dabble in others - depending on cover story headlines And money off coupons for the more expensive titles. Issues with my computer at work lately meant that my computer was in for a long update which still wasn't done by lunch time. Faced with not a very nice day for a walk and no Internet, I sauntered down to my local WH Smith to pick up a magazine. It was one of those days where I didn't want to spend close to £5 on a magazine. When I first came across Hello Fashion it was kind of tucked away so I only saw some of the headlines and the model - I had no awareness it was related to Hello Magazine. 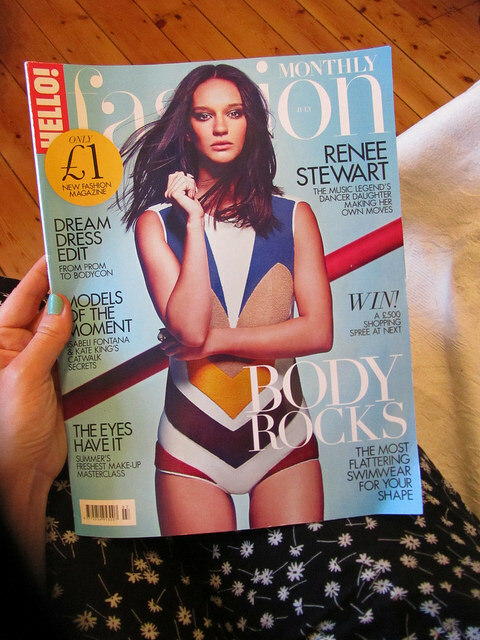 I moved the surrounding magazines to one side and saw a big yellow sticker saying NEW FASHION MAGAZINE ONLY £1. I was intrigued and picked it up to have a snoop, wondering how good a £1 magazine could actually be. And I was pleasantly surprised. It had a decent amount of reading in it compared to some of the more high end fashion magazines which instead have all the adverts. And the fashion pages are amazing. I took the magazine to the till with my £1 coin poised in my hand. Nothing could have prepared me for when it rang up as on offer and was now... 50p! I have never paid 50p for a magazine ever - not even as a kid. I couldn't believe how such a genuinely good publication could cost so little. I have been really impressed with the magazine - there's a good amount of reading in it, the fashion is spot on and although a thin magazine, it did last me a while. Even the subscriptions are good. Just £6 for 6 months or £11 for the annual subscription - both with a free Illamasque eye palette. If you can't believe your ears, prices can be found here. 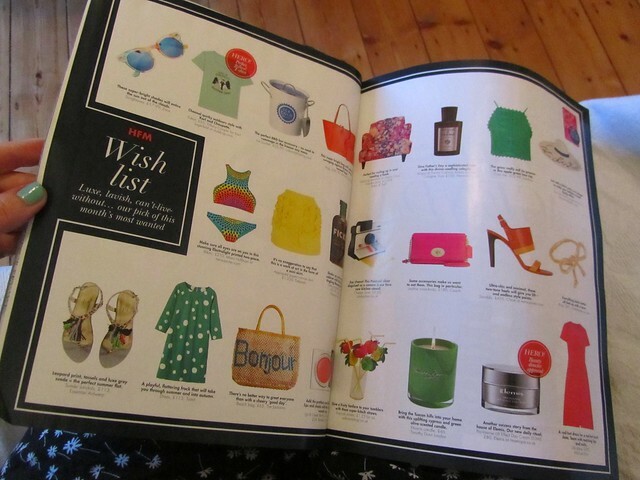 Have you seen Hello Fashion in the shops before? *FYI this isn't a sponsored post nor have I been prompted to write this review. I am genuinely really impressed with this magazine, discovered it for myself, and wanted to spread the word!